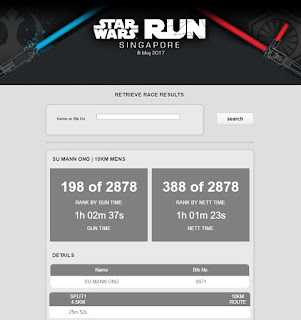 I saw a guy running in a gold bikini top at the Star Wars Run on Saturday night. In a gold bikini top. As if Return Of The Jedi wasn’t already ruined by those mutant teddy bears, the Ewoks. Now my hetero adolescent fantasies of Princess Leia in the slave girl outfit from that movie have been destroyed for good too. Thankfully, the guy wore a T-shirt under the bikini top. So I didn’t have nightmares that night. 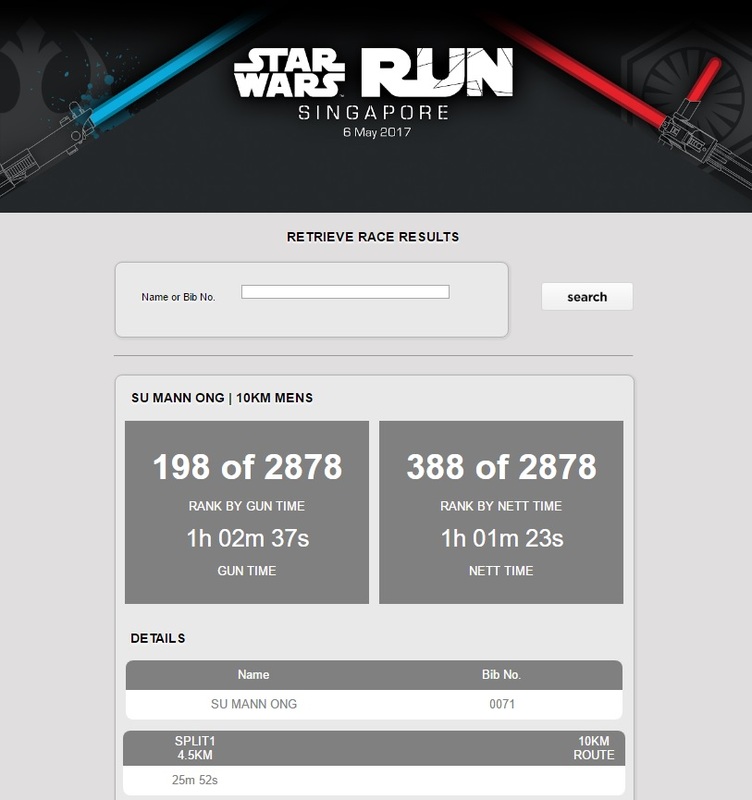 I also saw many Jedi and Sith wannabes running with lightsabers, which were not only cumbersome but also potentially hazardous to other runners. And you thought people with selfie sticks were annoying. Some fans even ran in full costume — helmet and cape et al. I had a heat stroke just looking at them. I was already sweating like a pig on Dagobah in my Under Armour Star Wars Trooper compression shirt — that is, if there are pigs on Dagobah. I wish I had a gold bikini to run in. At least that seems more Singapore weather-appropriate. 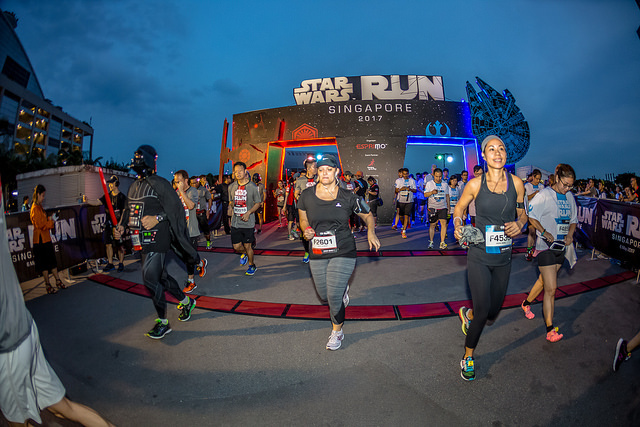 The run was part of a three-day event at Gardens By The Bay celebrating 40 years of Star Wars, a 1977 US movie that grew into a worldwide cultural phenomenon and merchandising juggernaut. Guerre Des Étoiles is French for Star Wars. The geek is strong with this one. But Mr Trudeau wasn’t the only world leader who jumped on the Star Wars cantina bandwagon. “Star Wars fans know ‘May the 4th’ as Star Wars Day, and this year @gardensbythebay joined in the fun with Star Wars-themed events. “I couldn’t make it on the 4th but managed a #jalanjalan at the Gardens last night. “The Supertrees have been converted into spectacular ‘Sabertrees’, and look like giant lightsabers pointing to the sky! Besides the obvious Revenge Of The Sith pun, notice how PM Lee also subtly worked in a “That’s no moon” reference without using the actual quote from the original movie. 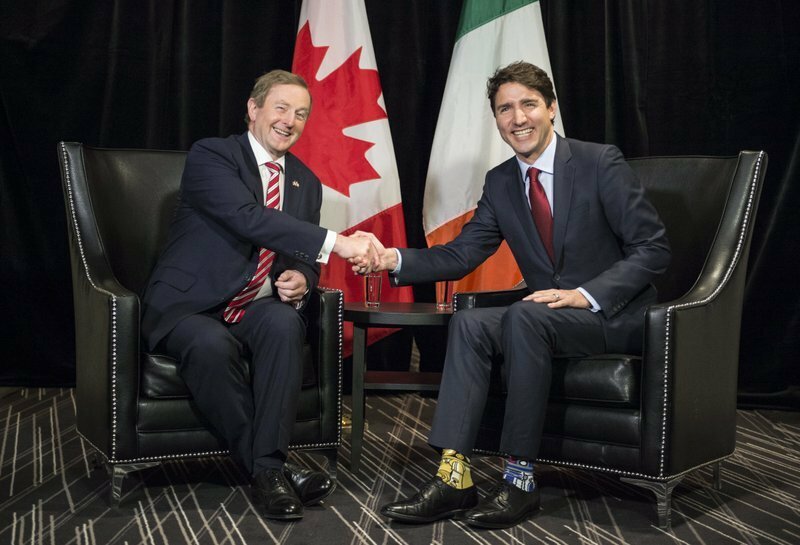 I’m sorry, Mr Trudeau, but you have been out-geeked by our prime minister. Even without mismatched droid socks. Wait, did PM Lee just reference the Sith? Does it mean he has gone to the dark side? Well, he did recently tell Singaporeans that to stay ahead of the competition, “you must make sure you steal somebody else’s lunch”. That sounds pretty dark side-ish. If he had joined the Star Wars Run, I wonder whether he would have chosen to be on the light or dark side. On the one hand, PM Lee is a member of the People’s Action Party, also known as the Men in White, which suggests the light side. On the other hand, white is also the uniform of the stormtroopers, who are on the dark side. Now I understand what Anakin and Luke Skywalker went through. As for me, I went to the dark side because the T-shirt is nicer. 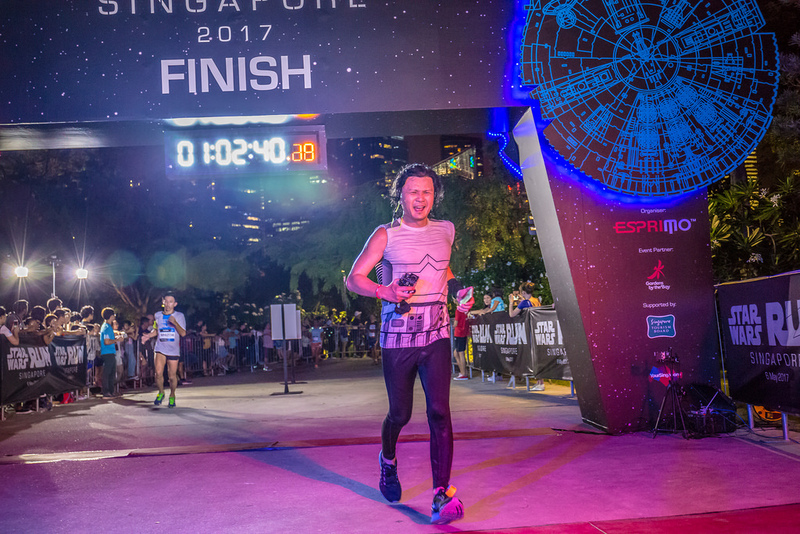 How long did it take me to finish the 10km run? In less than 12 parsecs, of course. Who needs a gold bikini?